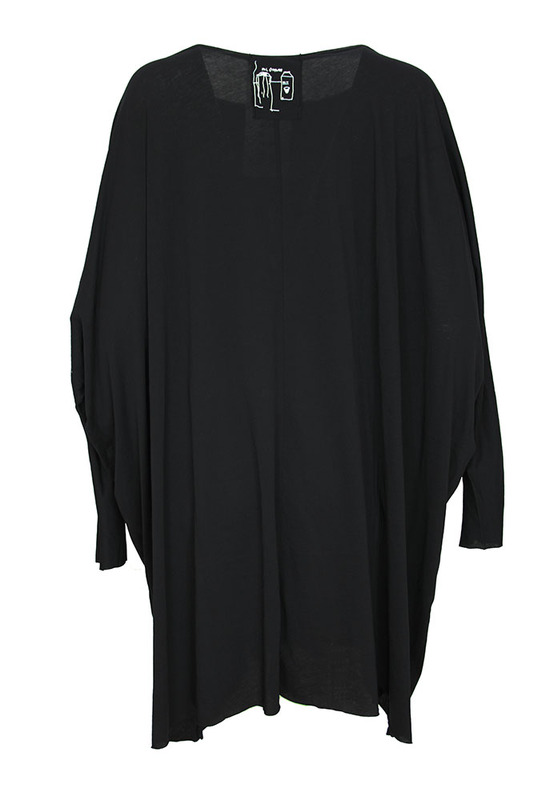 Pal Offner black, over-sized, one-size tunic, 'One Size Tunic'. 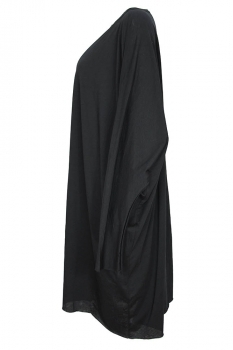 Round neck with double raw edge and double stitched trim. Large and generous size with long sleeves. White print on front right and soft badge at centre of rear neck. Raw edged hem and cuffs.